Sporting World is an innovative approach to program funding. 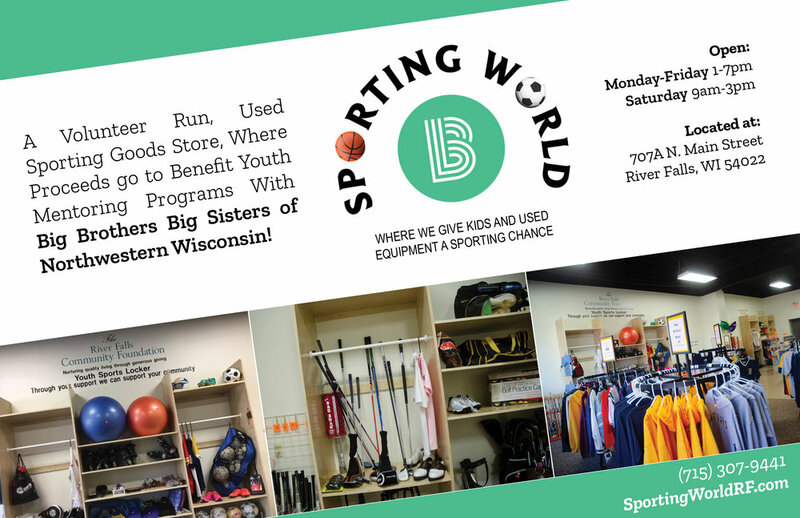 Under the direction of our Board of Directors, we launched a used sporting goods store in the Fall of 2018. The goal was to broaden our funding model and provide a needed service to the community of River Falls. Find out more at sportingworldrf.com or visit their Facebook page.